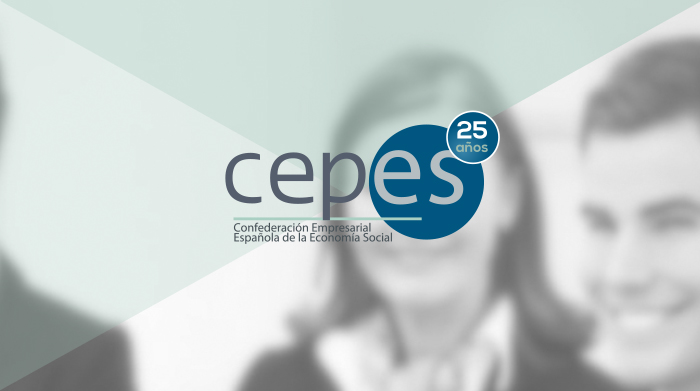 Social integration enterprises appear as an instrument to fight poverty and social exclusion. They are business initiatives that combine business logic with labour integration methodologies. These are enterprises that operate within the margins of conventional economic processes, producing goods and services, improving their environment, strengthening the services offered to people and fostering a better quality of life, as well as being profitable and competitive. Besides valuing their economic profitability, profitability in regard to social aspects should be highlighted since beneficiaries stop being passive, dependent persons and contribute to society everything that society had refused them. - Persons in a state or in severe risk of social exclusion who are unemployed and have serious difficulties to become integrated in the regular job market. - Beneficiaries of the minimum integration income. - Young persons who have dropped out of compulsory education and are unemployed. - Former addicts in process of rehabilitation and social reintegration. - Penitentiary inmates and former inmates who are unemployed. - Other collectives, such as: ethnic minorities, migrants or persons with unshared family burdens and in exclusion. The social integration enterprise provides a course of action for integration based on a personal employment plan that establishes a planned path to achieve integration in the regular job market. 1.- Welcoming and advice service: diagnostics of the person’s situation. 3.- Employment pre-workshops to recover learnings required that already exist. 4.- Work specialisation workshops: perfecting knowledge and skills. 5.- Social Integration Enterprise: Everything learnt in the previous stages is put into practice. 6.- Entry to the ordinary job market. Persons remain in the social integration enterprise only temporarily. The aim isn’t to create permanent jobs for them but to train and skill these persons so they can find a job on their own. - At least 51% of equity must be held by a social organisation or non-profit institution. - A percentage of the staff must be workers in social integration. This amount oscillates between 30% and 60% depending on the region. - At least 80% of turnover or available surplus during the fiscal year will be allocated to the improvement or enlargement of the productive and integration structures. Social integration enterprises are defined as learning business structures that aim to enable access to employment for disadvantaged collectives by means of carrying out a productive activity based on designing an integration process and establishing a conventional employment relationship during the course of the process. - Law 44/2007 of 13 December for the regulation of the scheme of Social Integration Enterprises. - Decree 37/2006 of 7 February of the Regional Government of Aragón, regulating Social Integration Enterprises and approving the ARINSER Programme of economic aids for the social and labour integration of collective in or at risk of exclusion. - Law 1/2007 of 17 January. Integration Services of the Canary Islands. - Decree 137/2009 of 20 October which regulates the classification of social integration enterprises, the procedures to access them and Register of Social Integration Enterprises of the Canary Islands. - Decree 34/2007 of 12 April which regulates the procedure to classify labour integration enterprises and creates an administrative register. - Decree 2/2006 of 13 January which creates the Register for Social and Labour Integration Enterprises in La Rioja and regulates requirements for classification and registering in the Register. - Law 1/2007 of 5 February which regulates social integration enterprises to foster social integration in the Region of Valencia.